Welcome to the tenth edition of Medicine 2.0, the bi-weekly blog carnival of the best posts pertaining to web 2.0 and medicine. Medicine: derived from the Latin ars medicina, meaning the art of healing. Web 2.0: the second-generation of web-based communities and hosted services that strive to facilitate collaboration and sharing between users. For the uninitiated, lets begin with a general definition of the term Medicine 2.0 and the difference between it and Health 2.0. Health 2.0, a new concept of healthcare, also utilizes web 2.0 internet-based services but is focused on healthcare value (meaning outcome/price). Patients, physicians, providers and payers use competition at the medical condition level over the full cycle of care as a catalyst for improving safety, efficiency and quality of healthcare delivery. The goal of both of these movements is the delivery of optimal medical outcomes though individualized care. 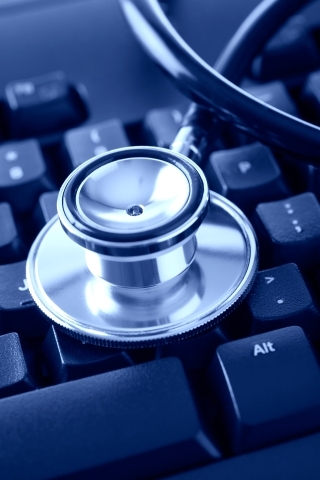 Why should doctors use web 2.0 in their practice? Dr. Bertalan Mesko, founder of Medicine 2.0, writes an Open Letter to the Physicians of the World, explaining how the new generation of web services will change the way medicine is practiced and healthcare is delivered. Dr. Joshua Schwimmer provides an excellent example of a physician using the communication tools of the web, describing A Mobile Medical Practice — Dr. Jay Parkinson. Dr. Uri Ginzburg also writes about Dr. Parkinson and suggests other applications that would make his medical service more accessible to his patients in The New Age of the Outpatients Clinics.UPDATE: October 20th, 2007 Dr. Parkinson’s blog can be found here. Dr. Steven Murphy, aka the Gene Sherpa, discusses his new personalized medical practice, writing About Helix Health. As most medical informatics systems are outmoded, he and his partners have developed their own electronic medical record (EMR) system. Peter Murray believes that heath informaticians need to address the issues of personalized health/medicine, online identity, new forms of online interaction and hyperlocality as he discusses Web Trends and Personalising Health/Medicine. Earlier this month, we witnessed the first of many online health management services as Microsoft launched a free, ad-supported online health portal and personal health information database. Dr. Rahul Shetty writes about the Microsoft Health Vault and his Perspectives on Personal Health Record. Lygeia Ricciardi also writes about the Microsoft health portal, giving us More on HealthVault: Profiling the Platform. Google is working on their own personal healthcare site. Dr. Joshua Schwimmer presents A Stanford Medical IT Specialist Interviewed by Robert Scoble, a video conversation with a medical IT specialist who’s working with Google. The future of patient records may be the use of 3D representations of the human body. Dr. Bertalan MeskÃ³ reviews Visualization Software of IBM for the Future of Medicine: Interview!. Life Record has developed an emergency medical record (EMR) application that’s compatible with a web-enabled iPhone. Dr. Chris Paton covers a YouTube video demonstrating the Life Record EMR on the iPhone. As Healia searches PubMed/Medline, David Rothman reviews some of its notable features. An excellent alternative to the native PubMed interface. Google Scholar provides a simple way to broadly search for scholarly literature. Deepak Singh questions why their search is limited to peer-reviewed publications and is Proposing a â€œPlus Boxâ€ for Google Scholar. Video sharing is one of many web 2.0 tools that can be used with medicine. Dr. Uri Ginzburg presents LabAction.com, a niche video sharing tool for scientists and researchers. Hamza Mousa shares his own list of medical student resources, reviewing a series of Neurological Examination Videos. Fard Johnmar announces the launch of a bi-weekly program to chronical how the Internet, computers and other technologies are impacting health globally. Introducing … The Digital Health Revolution. Connotea provides free online reference management for researchers, clinicians and scientists and recently, there have been some issues with the service. Stew discusses Connotea and Postgenomic Complaints. The blog is perhaps the fundamental web 2.0 tool and many of the posts mentioned here are written by physicians. Now it appears that blogs can be cited in biomedical literature. MedGadget describes the Citation Rules for Blogs from the National Library of Medicine. Although many physician bloggers disclose their identities, others blog anonymously. Dr. J C writes about Anonymous Physician Bloggers and his reasons for anonymity. With so many blogs out there, which one do you choose? NOEDb.org provides a comprehensive list of the Top 100 Health and Wellness Blogs and Top 25 Nursing Blogs (By the Numbers). Mark Rabnett presents his own select list of English-language med student blogs. 19% of online teens blog and as they grow up they are now Blogging Med School. A number of websites are available today to rate physicians. Fard Johnmar writes about Physician Rating: New Study Brings Debate to a Boil. Have you ever wanted to make a quality medical podcast? Dr. Peter Beck writes From The Podcast and New Media Expo. Find out more about MedSqod. Bob Coffield blogs live from the Health 2.0: User-Generated Healthcare Conference 2007. Jan Martens also writes an excellent review of the recent Health 2.0 conference in SFO [an overview]. I thought the Scribe Media film that opened the conference, A Brief History of Medicine, was awesome. Mark Rabnett had other thoughts about the Scribe Media video. Above all the noise and commotion of the video, he’s Scratching an Itch. Scott Shreeve evaluates the Athena Health Internet-based business services model and maintains there is a real business model in creating value through the aggregation, analytics and advising services they provide. He takes a serious look at the Health 2.0 Business Model: “Payment Dependent on Results”. In short video clip from the Health 2.0 conference, Bob Coffield talks about business models and what will attract people to utilize new web-based services. Unity Stoaks discusses the challenge physicians face when prescribing their patients a trusted and unbiased online resource. New Pew Study Shows Patients Turn to Internet for Health Information; Now Can We Get Docs to Do The Same?. Asif Shah reposts Healthcare and Web 2.0, an article from Modern Healthcare, about healthcare startups using the models of social networking sites. MedGadget reports that physician-only networks are easy to penetrate and outlines a series of questions they believe need to be addressed by Sermo and other physician social networks, announcing that it’s Confirmed: Sermo is Not for Physicians Only; New Important Questions Raised. There’s only one place where laypeople can go to learn about medical science and its implications for their lives, investments and political interests. Alvaro provides 10 Highlights from the 2007 Aspen Health Forum. University teaching used to be limited to chalkboards, slides and overhead projectors. Anonymous Coward discusses innovation toady when Teaching Science with Web 2.0. Dr. Ves Dimov touches briefly on the new biochech company 23andMe and asks if You Can Carry Your Genome Information on an iPhone?. The 2008 U.S. Presidential elections are fast approaching and there are a number healthcare issues. Do you know where all the candidates stand on all the issues? NOEDb.org breaks it down for us with a Comparison: Presidential Candidates on Major Healthcare Issues. Web 2.0 is not just a technological phenomenon but also a cultural one. Greg Laden explores an otherwise typical survey of political attitudes of groups of academics, believing that Health Scientists Need a Slap Upside the Head. Dr. Joshua Schwimmer writes about iGuard: A New Drug Safety Website, one of the first web-based services that allows you to get free personalized safety alerts and updates about your medications. That’s a wrap for Medicine 2.0 #10. It’s been a pleasure to host this edition and I’d like to thank everyone that contributed articles. Be sure to take a moment and let your fellow bloggers know this issue of Medicine 2.0 is available so that everyone’s hard work can be appreciated and enjoyed by all. Have you written a blog article about web 2.0 and medicine? Submit it to the next edition of Medicine 2.0 using the carnival submission form. The next edition of Medicine 2.0 will be hosted at The Health Wisdom Blog on Sunday, October 28th, 2007.